I feel as though I’ve been talking a lot about the weather lately, but it’s been so unpredictable that it gives me and fellow New Yorkers plenty to say. It was mild and sunny last weekend on Easter Sunday, which made Monday morning’s rapidly accumulating snowfall a surprise. It was balmy on Friday, and it’s in the thirties now. Go figure. My internal and external state seems to be ebbing and flowing with similar lack of predictability. My emotions have been all over the place this week: anxious one day, sad the next, perfectly at peace eight hours later. Last spring Maria shared with me the phase “emotional weather,” which stuck with me, and it feels particularly apt right now. My body has been going through similar highs and lows: I’ve woken up on at least three mornings this week certain that I was fending off another cold; I’ll spend a day or so with a tight, dry throat and stuffy nose, only to wake up feeling sort of OK the following day. I feel more clearheaded and less exhausted today than I have in a while, which I’m thankful for, but it’s been a long winter of being run-down. My sleep was thin and fitful throughout the holiday season, and January was marked by a lot of digestive turbulence—a stomach bug followed by the old pangs of IBS, which lasted for weeks. Throughout that time and since then it’s been one sniffle after another, and I’m moving into the time of year where it’s often hard to separate seasonal allergies from colds. These are all small physical complaints, but in the aggregate they can feel tiring. They also drudge up an old feeling, which is discouragement—even disappointment—when my health isn’t robust. This was a big part of my own experience of orthorexia: panic and frustration whenever I experienced physical ailments, followed by desperate dietary tweaking in order to “fix” what was wrong. Back then, it never occurred to me that food wasn’t the root cause, that stress or sheer chance (running into the wrong microbes at the wrong time) might be more likely explanations of why I didn’t feel well. Looking back on this, I realize that I was suffering from the same impulse toward control that had characterized anorexia. Orthorexia involves food and dietary habits, but for me, its truest kinship with other disordered eating was the intense desire to make my body behave. In this case, good behavior didn’t mean remaining a certain shape or weight, but rather being optimally healthful all the time. Anorexia recovery asked me to befriend my body, to recognize its inherent value and to respect it no matter the shape. Getting over orthorexia meant letting go of the idea that my body could sustain peak performance without moments of fatigue or vulnerability. It included the recognition that vitality isn’t a steady state; it looks different from person to person, and it ebbs and flows and shifts and changes, just as we do. There are times, though, when chronic malaise or getting sick still registers as a trigger to the controlling and compulsive parts of my brain, still makes me feel that something is fundamentally wrong with my body. In these moments, it’s important for me to call upon my recovery tools of compassion and self-acceptance. I need to resist judging or labeling my body and instead ask myself what it’s communicating to me. And I do my best to remember that health exists on a complex and fluid spectrum, rather than a rigid scale. Early last week I felt dissatisfied with my body for being susceptible and drained. Today I feel grateful to it, because the sniffles and pangs have encouraged me to take a look at areas, both physical and emotional, that I’ve been avoiding. 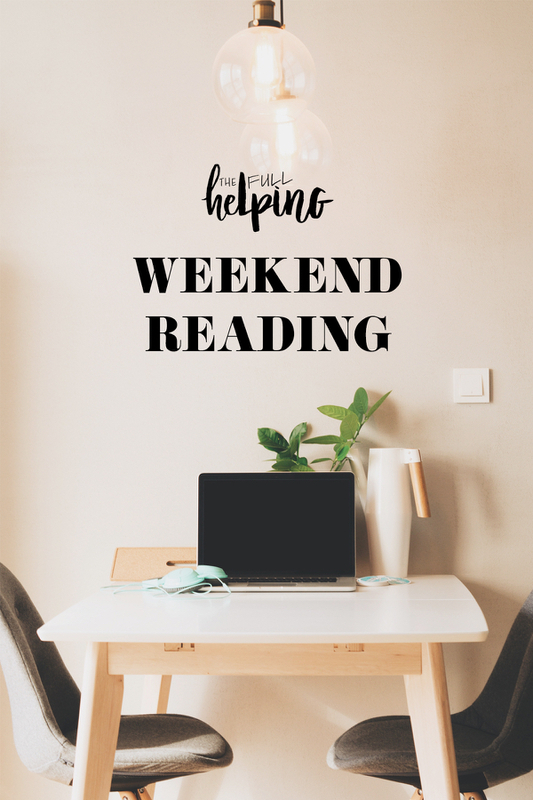 It gives me food for thought and a roadmap for self-care as the new week begins. Wishing you all clear lines of communication with your body as we move into spring. Enjoy this week’s crop of recipes and reads. 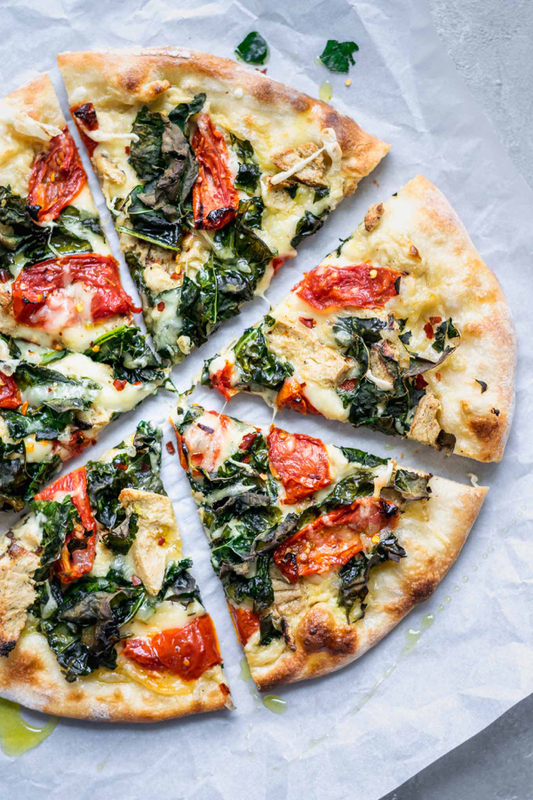 I love the sounds of this beautiful, thin-crust white pizza. Eva tops it vegan garlic béchamel sauce, roasted tomatoes, crispy kale, and seitan: a perfect mix of color, texture and taste. I make grain salads with so many different whole grains as a base, and I sometimes forget that rice can be one of the best and most toothsome options! 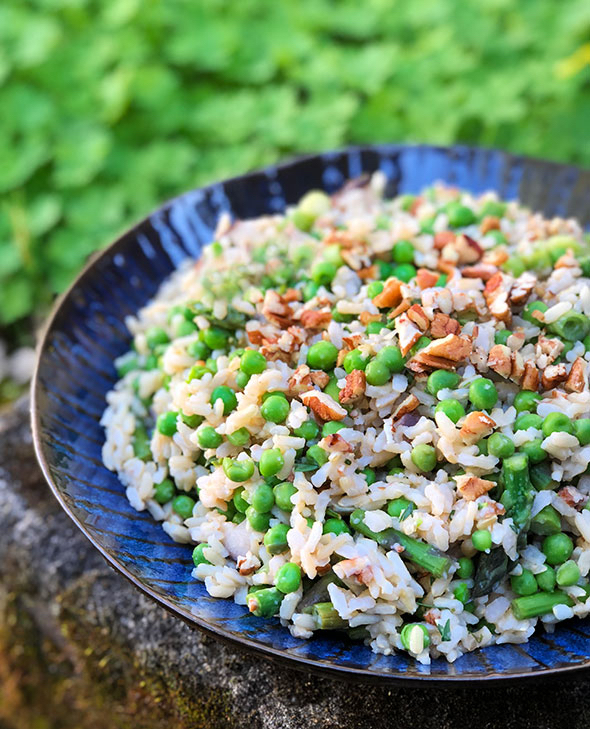 I’m super excited to try Cathy’s simple, springy rice salad with shiitake mushrooms and asparagus. 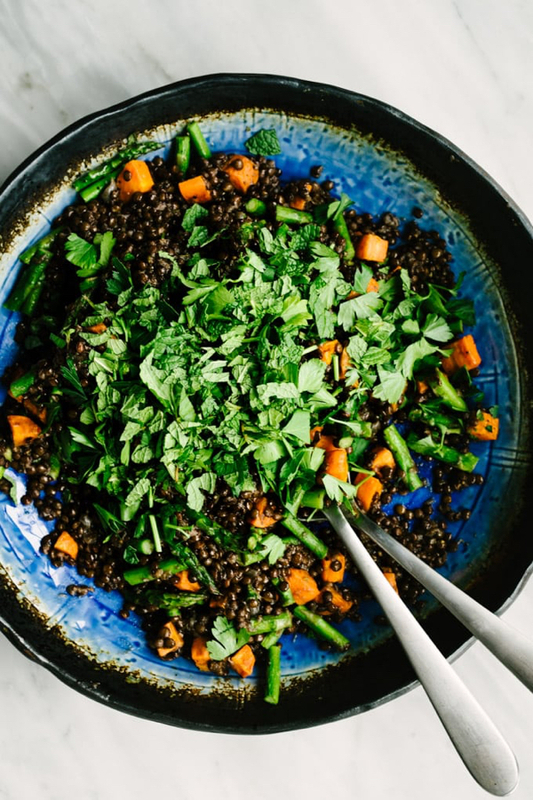 I love the lentil + roasted carrot combo (there’s a salad version of it in Power Plates), and I’m all over Danielle’s lentils with roasted carrots, asparagus, and fresh herbs. Hearty enough for cool weather but full of spring energy. 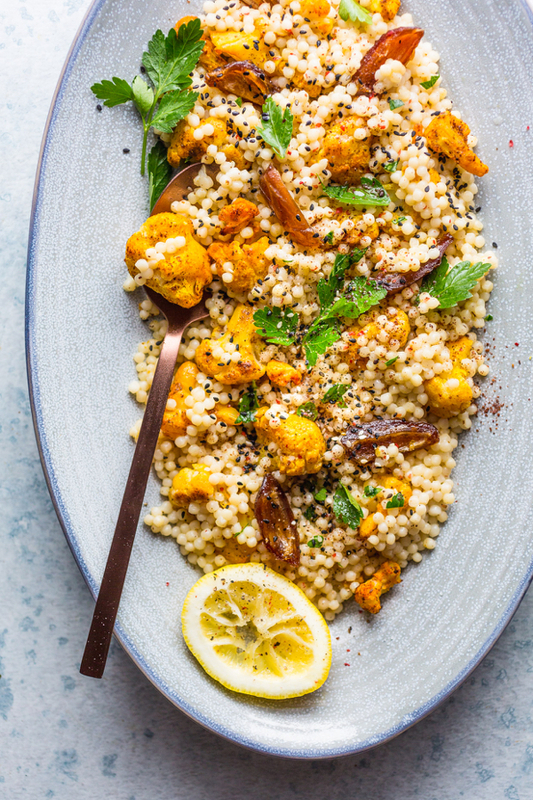 Speaking of roasted carrots—and also of roasted cauliflower—Shelly’s couscous salad with creamy tahini is calling my name loudly. I need to add chopped dates to salads more often. 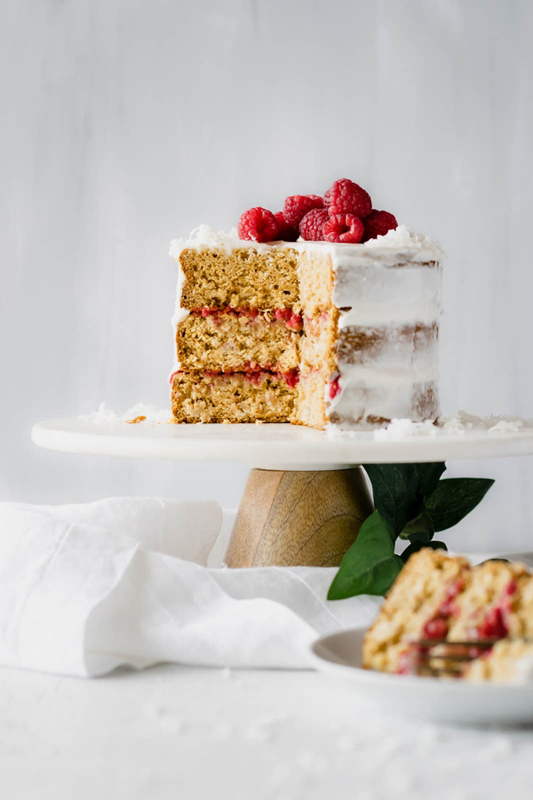 For dessert, Kasey’s decadent and beautiful coconut raspberry layer cake. 1. A new study shows positive associations between vegetable consumption and healthy blood vessels in older women. Researchers in the study, which is reported on by Health Day here, used sonograms to measure the thickness of female participants’ carotid arteries. The artery walls of women who ate the most vegetables were about 0.05 millimeter thinner than those who ate the fewest—a potentially significant difference, since a 0.1 millimeter decrease in carotid wall thickness was linked to a 10 percent to 18 percent lower risk of stroke and heart attack. 2. One of the most timely debates in healthcare is whether or not aggressive and widespread screening may do too much harm along with preventive good. I go back and forth about this, sometimes feeling certain that more information is better, sometimes agreeing with those who say that over-diagnosis substantially mitigates—and perhaps even outweighs—the benefits of many new technologies. This article provides a brief look at the controversy. 3. As that dialog continues, the value of prevention remains as strong as ever. I really like Christy Brissette’s five steps for reducing cancer risk, which feature selecting a plant-based diet and lowering red meat consumption as numbers one and two. I also appreciate that Brissette acknowledges the vital importance of social cohesion, flexibility, stress reduction, and taking pleasure in food. 4. I related to many pieces of Rachel KallemWhitman’s Medium piece on traveling and eating disorders, including what it’s like to have a fundamentally complicated relationship with travel because you’ve got stuff—anxiety, compulsions, whatever—that make changes to routine a major challenge. 5. Other things I relate to: nearly all of Sara Benincasa’s humorous and self-aware reflections on getting into meditation (also, getting past codependency). On that note, wishing all of my fellow Greek Americans a very, very Happy Easter Sunday. I’ll be carting some of my favorite vegan avgolemono to my mom’s soon. And I’ll be back in a couple of days with what may be my last comfort food recipe of this winter season. Hope you get well soon, Gena. I’ve been battling a cold for 4 weeks now so I understand and empathize with your frustrations. Yes, it’s not a serious health condition but it does take a toll on morale and spirit. Here’s hoping winter goes away and health comes in with spring! 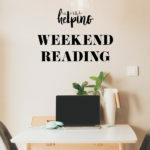 I love the way your write your posts; thanks for your honest voice, for what you share about your personal challenges, for the recipes, and the eclectic links to other interesting articles/info, as well. And, like Tanya said, feel better soon! Thank you, Gena, for this nuanced description of your experience with orthorexia. I can so relate to the frustration and resentment towards the body for not adhering to arbitrary expectations or timelines for healing. Now that I view my body as a reactive, dynamic entity I appreciate its signals that something is off, such as when I can’t sleep or feel a recurrence of low back pain after it’s gone away for a while. In some ways it’s a big relief to absolve myself of responsibility for micromanaging every biological process and aspect of my health (especially since the control is only an illusion). Wishing you a peaceful transition to spring – the sooner, the better. Goodness, Gena, this is such an eloquent and concise description of what I’ve been going through in my recovery and still am. This sense of fixing everything through the physical body, blaming it for not being ‘perfect’, and looking for yet another diet solution to emotional and physical malaise. Yay, I felt relief reading about your experience as I’m going through something similar this (and every other) spring, trying to remind myself that the body has its mysteries and processes that are out of my control.